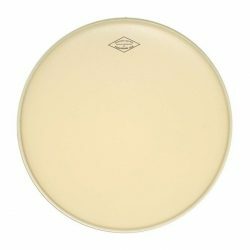 Evans Calftone drumheads have a synthetic coating that gives the look and sound of calfskin. Warm, responsive, and open, these drumheads are a great choice for low and medium volume live playing, or for studio recording. The Evans Calftone is a single ply drumhead, made with one 7mil ply and a special synthetic fiber top layer. The Calftone range is designed to have the look and sound of calfskin, with an added boost to the midrange and low-end frequencies. 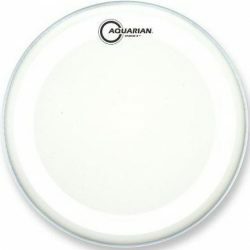 This drumhead has a warmer sound than other thin drumheads, while still giving a little brightness to the attack. The thinner construction of the Evans Calftone makes this drumhead responsive to lighter touches, and allows for a moderate amount of sustain (although slightly less than other thin drumheads). The synthetic fiber coating also helps to reduce overtones, making tuning easier and giving a more focused drum sound. The attack is not as bright as a clear drumhead, but is still strong enough to come through well. 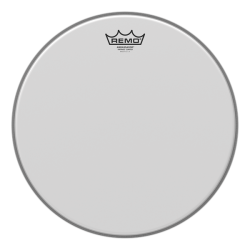 Overall, the added synthetic fiber coating gives a great tone – slightly more focused and warm compared to other single-ply heads. 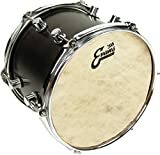 Evans Calftone drumheads are usable with both drumsticks and brushes, although the surface is not textured enough to make brush strokes clearly pop out… This can be a positive or negative, depending on how intense you want your brushwork to be (many people prefer a slightly smoother brush sound). 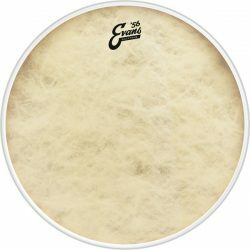 As a resonant tom drumhead, the Evans Calftone is both a great sounding and great looking choice, giving a warmer sustain compared to other thin resonant tom heads. 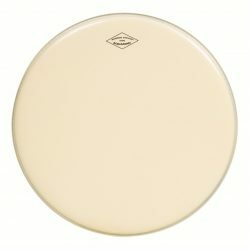 The unique coating on the thin single ply allows a nice moderate sustain, with good emphasis on midrange tones. 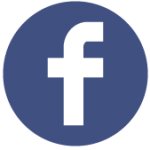 If you need a resonant (or batter) bass drumhead, there’s a slightly thicker bass drum version of the Calftone. 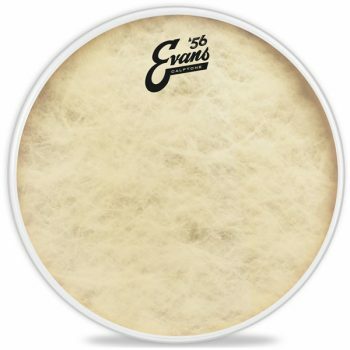 If you want a responsive yet warm drumhead, the Evans Calftone is a great choice. 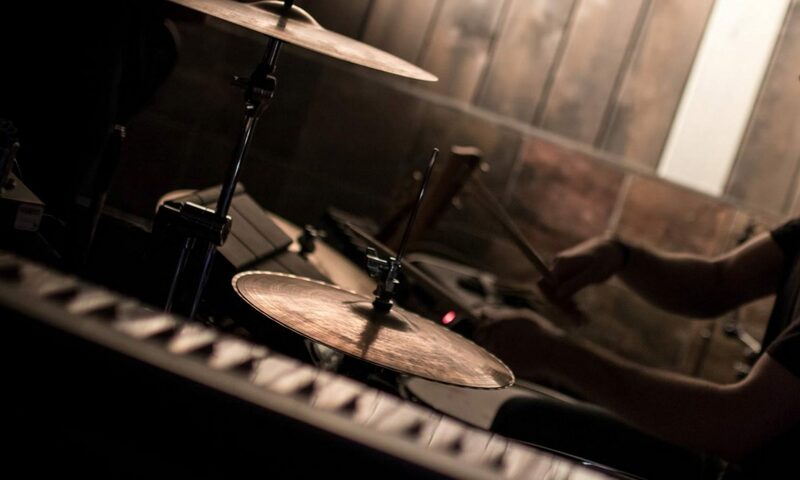 The synthetic fiber coating adds some extra focus to the sound, and give a great look to a drum kit. Note: This is the snare drum and tom version of the Evans Calftone. 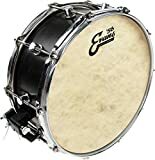 Slightly thicker bass drum versions are available (including an Evans Calftone with EQ ring, and an EMAD ring Evans Calftone). 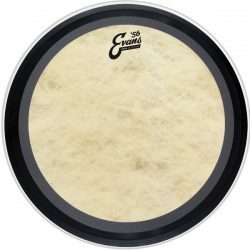 Note: Evans lists the thickness of the Calftone as 7mil, however the addition of the synthetic fiber means this drumhead is slightly thicker.